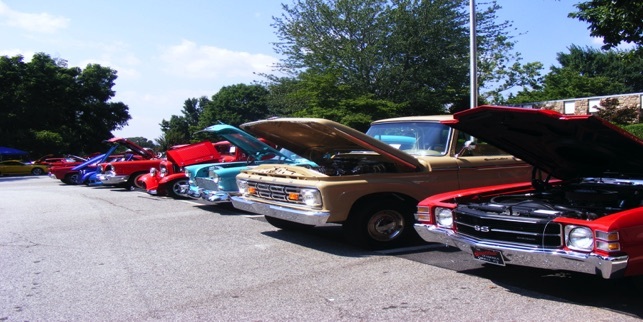 The Dahlonega Car Club, LLC is a club of car enthusiasts based in North Georgia - Dahlonega, GA to be exact. In the foothills of the Appalachian Mountains. Our primary mission is to do fundraising for selected Lumpkin County non-profits. 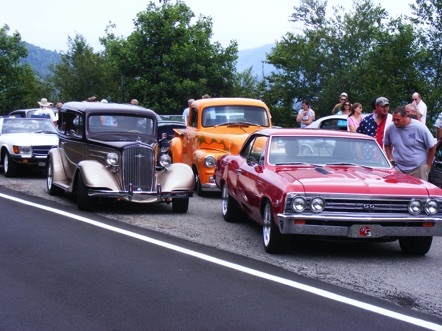 Our club welcomes old cars, new cars, show cars, cruisers, special interest cars and cars in the process of being restored - any make, model and year. If you're just an interested party and don't have a car, you're welcome too ! Come to one of our meetings and check us out. Our charities for 2018 were the Lumpkin County Fire Department and the Lumpkin County Sheriff's Department to benefit their D.A.R.E. program in the Elementary schools and High Schools. At our November membership meeting the Club presented $1800 checks to both Dave Wimpy the Fire Chief and Stacy Jarrard the Lumpkin County Sheriff. Click HERE to check out the pictures of Club President Harold presenting the checks to both of these individuals. Congratulations and Thank You to all our members for your hard work throughout the year to make these donations possible. Our charities for 2019 are the Rainbow Childrens Home and the Lumpkin County Family Connection. Our donations to these non-profits will be made at our annual Holiday banquet in early December.